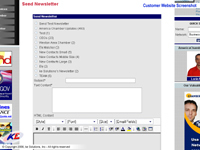 Mailing lists allow for mass mailing to subscriber lists. 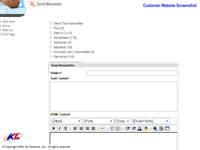 When users sign with a website they can choose full html or plaintext emails and subscribe to message boards. 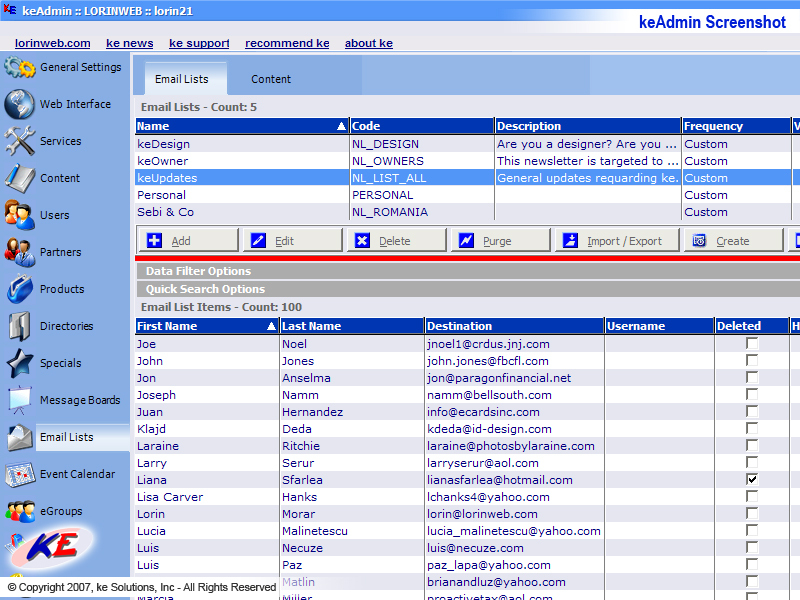 The administrator of message board can send customized updates to all users on the list. There are two types of message boards - basic message board is for management by website owner, and partner mailing lists. As you can learn in discussion on partner and product directories, website owner can sublet web space to partners. Website owner can then bestow mailing list privilege upon partner. 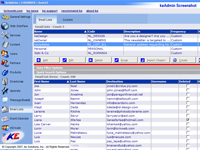 Partners can mail to their lists from web interface provided to them. Message board provides hooks for local message storage. 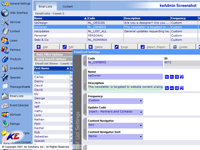 When message is stored locally, user must log into their account to view their messages. 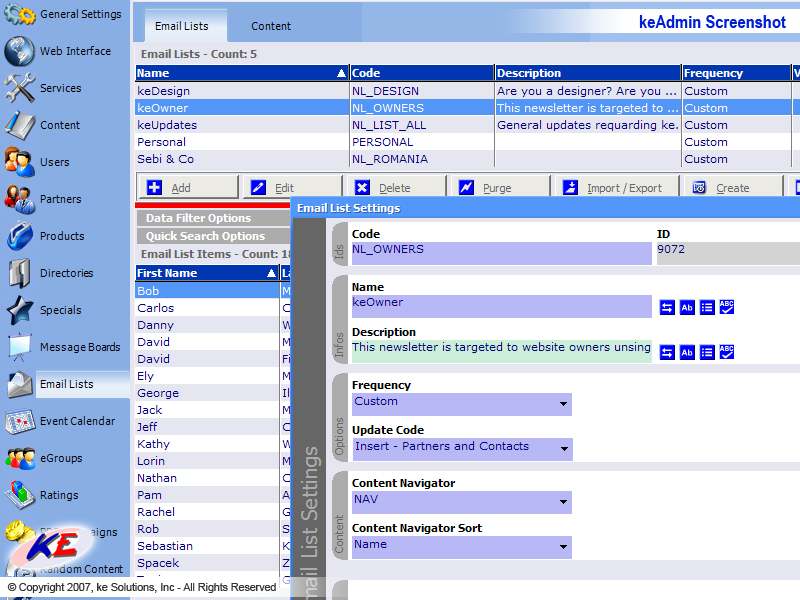 Mailing lists are useful for any ordinary information dissemination. You can use mailing list to send tips on how best to use your products. You can send tips or even sale alerts. Mailing lists generate higher traffic to your website as you are well advised to always include links. Many users will click on these links to see current specials, or even new products and/or services now available on the website. This return traffic is valuable because it builds brand awareness amongst users. Next time they want to buy product from categories that you carry, they will turn to you for business. 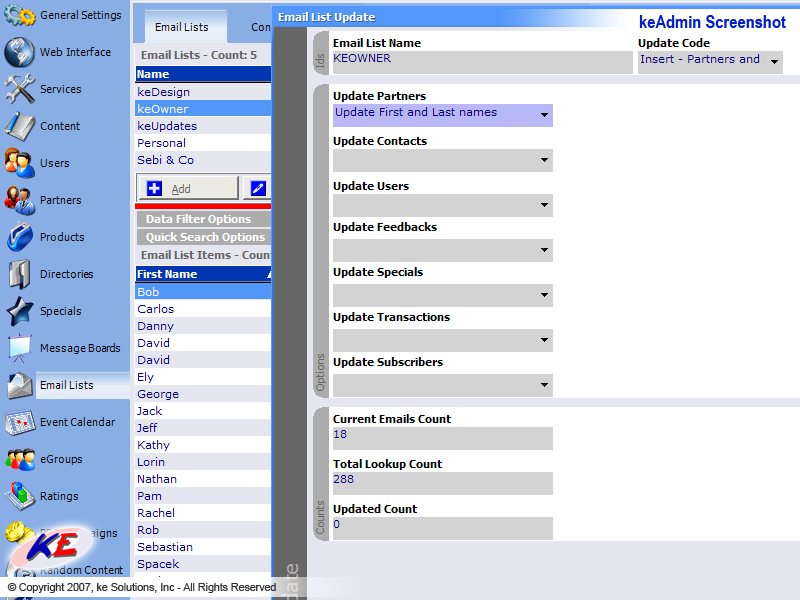 Mailing list functionality is maintained by ke Solutions, which translates into both lower TCO (either included in your package or available for a small monthly fee), and predictable TCO (no out of pocket expense due to unforeseen problems with message board deployment). On the cost side, this solution provides very attractive overall TCO. 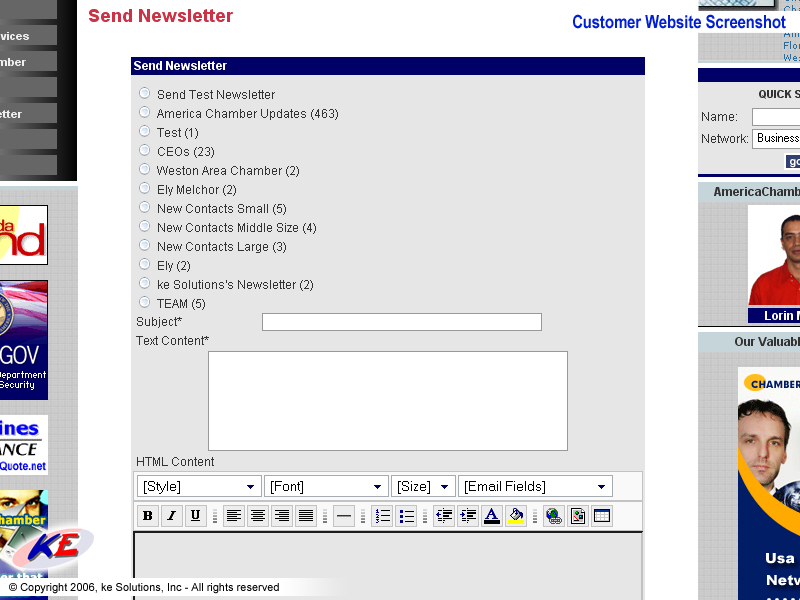 Mailing lists will ensure brand awareness without expensive ad campaign dollars. With useful tips or new product alerts, you can even improve sales and directly impact your ROI. Announcing new items on your website will generate sales from users that would otherwise be unaware of product availability. You could even ensure that you sell to them first by offering coupons and discounts in your mailing lists. 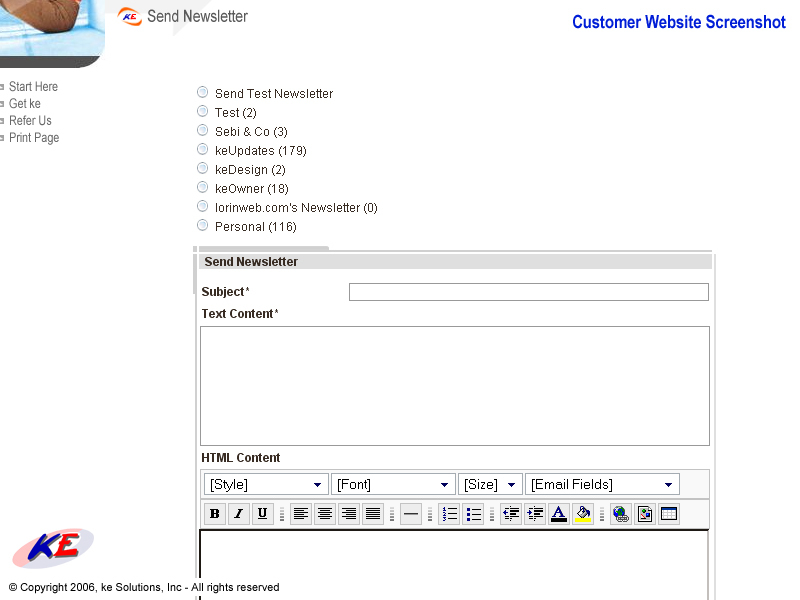 You can tailor mailing lists to needs of your customers. 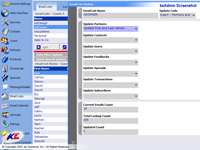 Some customers will find it helpful, if you send updates relating to only a fraction of your overall product line. Others will devour all "specials". You can get creative. Click here for Newsletter documentation.